Prime Minister Mian Muhammad Nawaz Sharif has ordered the concerned authorities to take necessary steps to remove blasphemous content from social media immediately. 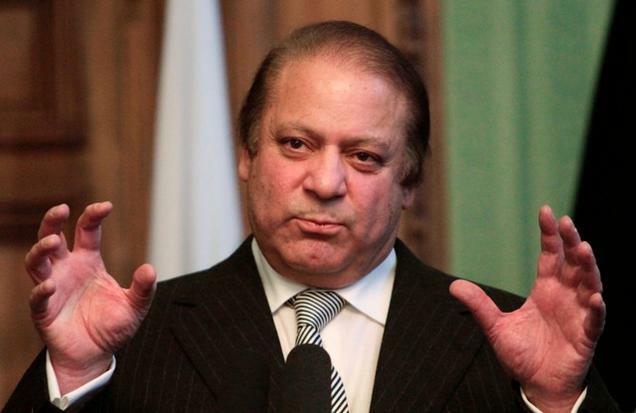 A statement from PM was released on the Twitter handle of Pakistan Muslim League (N). He said that the love of Prophet Muhammad (P.B.U.H) is the most precious asset of every Muslim and any blasphemy in this regard is an unpardonable offense. PM further said that Prophet Muhammad is the greatest benefactor of humanity and sensitivity of this matter must be considered and respected. The sacrilegious contents on social media is a nefarious conspiracy to hurt the religious sentiments of entire Muslim ummah and must be eliminated immediately. All relevant authorities must identify the people behind this propaganda and take strict legal action against such individuals. Furthermore, he also issued directions to ensure the strict accountability of those who misuse the blasphemy law for their personal gains. PM directed Interior Minister Chaudhry Nisar Ali Khan to take immediate action. The National Assembly also passed a joint resolution yesterday, urging the government to take necessary measures to block and prevent circulation of objectionable material on social and other media. A couple of days ago a Civil Society filed a petition in Islamabad High Court to shut down Facebook temporarily in Pakistan until the blasphemous content is removed. This is not the first time that social media is under scrutiny in Pakistan. In May 2010, all the internet service providers in Pakistan were ordered to block Facebook in response to a widely promoted blasphemous event. In September 2012, YouTube was also blocked in Pakistan owing to the widespread of controversial content on YouTube.